So I know I missed the boat on Apple Week in honor of Johnny Appleseed's birthday, but I still wanted my kids to enjoy the fall season. 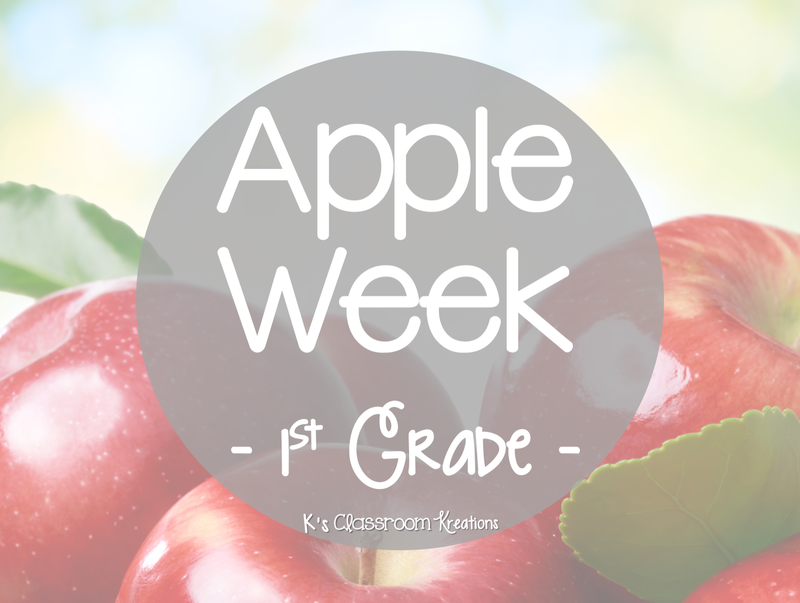 This past week we took a break (finally) from ABC books and read tons of informational books on Apples. We first created circle maps in writing with our background knowledge. I then modeled how to turn those ideas into simple sentences. Our writing standard has been Common Core 1.W.2- writing informational pieces on a topic with supporting details. 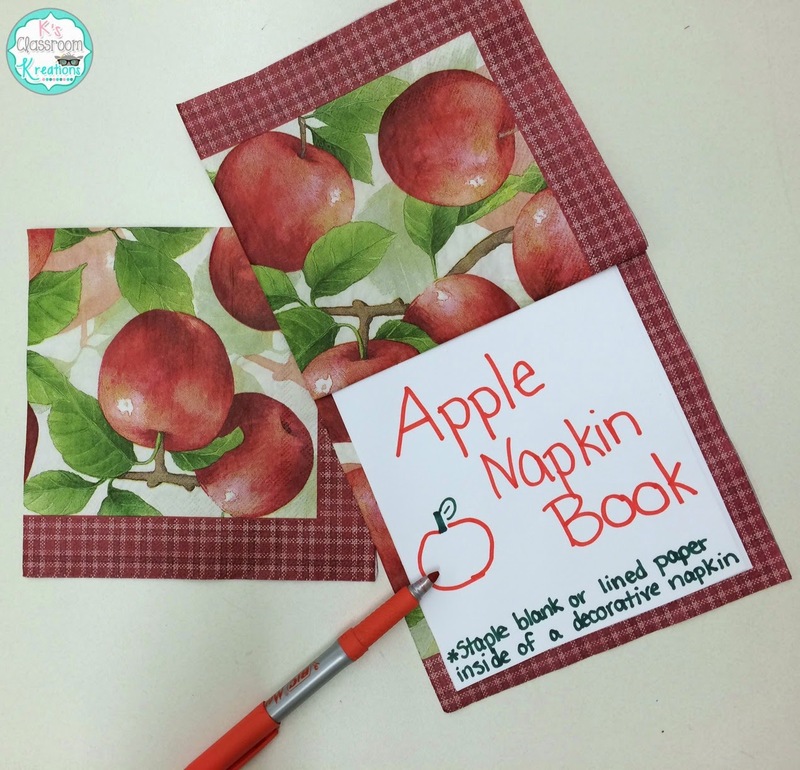 I had tons of leftover scraps from die-cutting apples so I decided to turn them into Apple Books. Students used these books to publish their ideas on the topic. They came out so cute! Who knew such a simple cover would inspire my young writers. 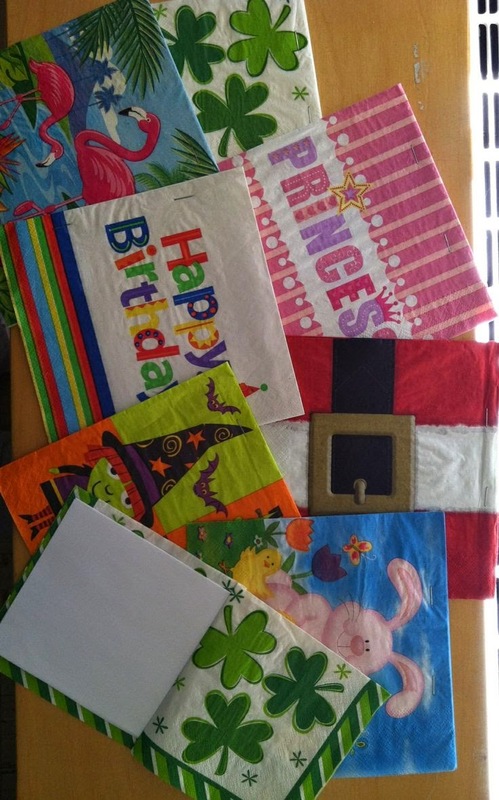 I also added some apple napkin books to my writing center for independent use this season. Simply staple blank (or lined) paper inside of any decorative napkin for a quick book. My students use the cover as inspiration and can write whatever they choose inside based on the topic. 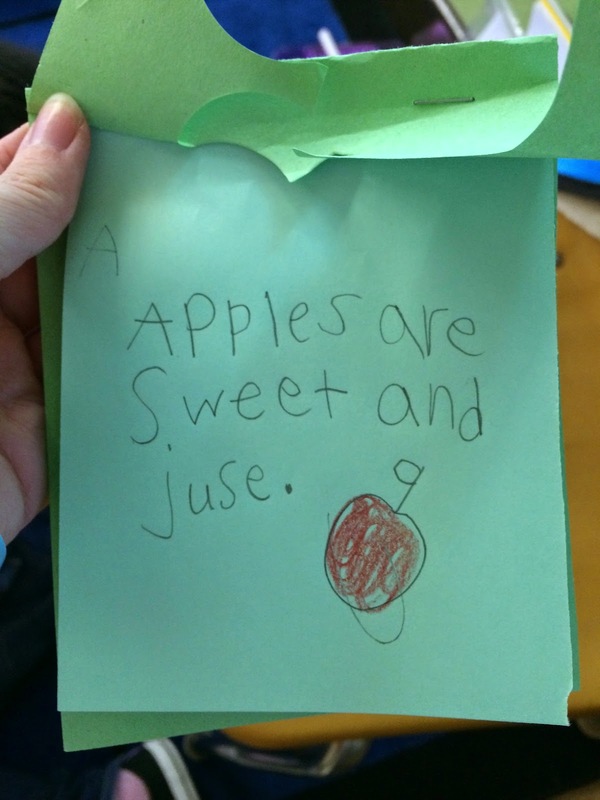 For example, students could write an apple poem, recipe for applesauce, narrative about a trip apple picking, informational piece on the life cycle of an apple, etc. I add different covers throughout the year based on seasonal needs and topics we are covering. I also make sure to have other high interest covers for year round use (sports, princess, pirates). Dollar stores are great places to find these or the clearance section at the end of a season. I also cut out large tens-frames for each set of students in my class. 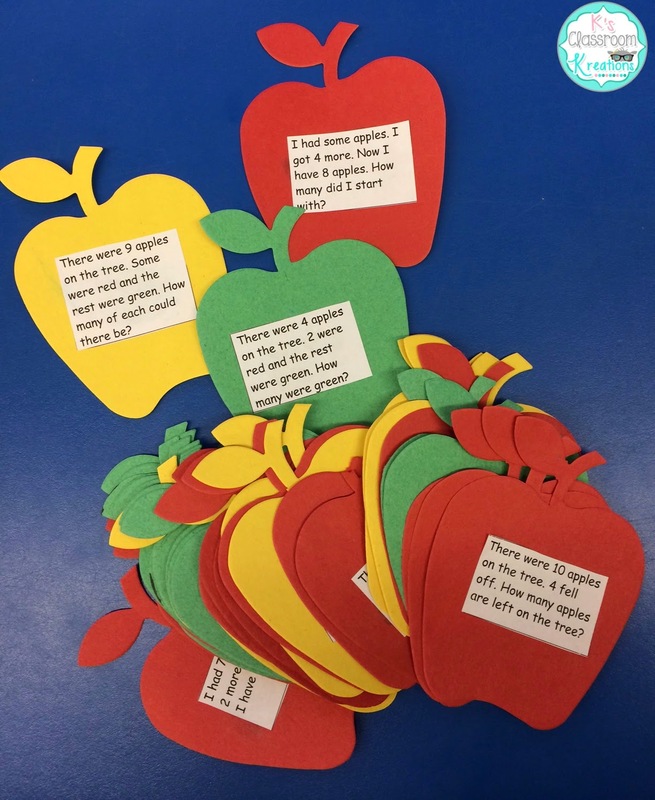 Pairs were given 10 red apples and 10 green apples to use while solving addition, subtraction, and unknown addend word problems. I don't know about your kids but mine seem to still have trouble with unknowns! The manipulatives really helped. I called out problems like "I used 4 red apples in my pie. Then I added some more green ones. Altogether I used 9 apples in my pie. How many were green?" 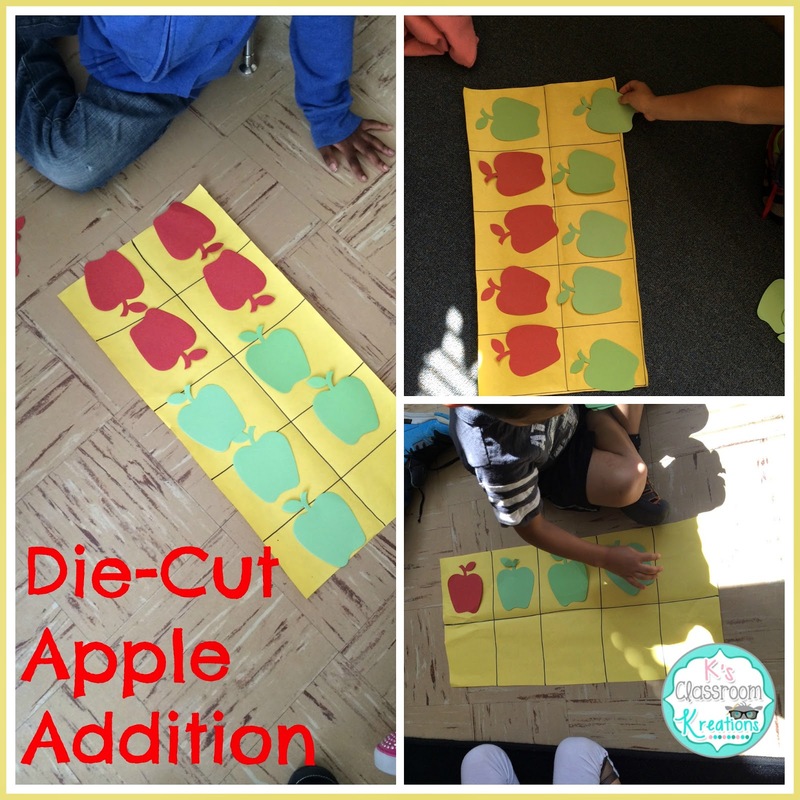 Students then placed 4 red on the tens-frame and added green apples until they reached a total of 10. 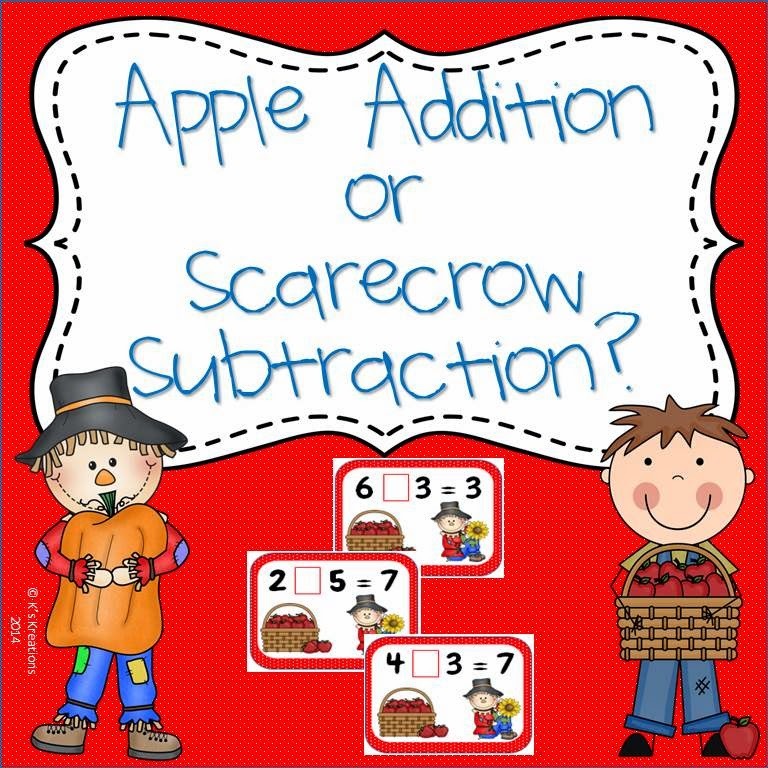 To go along with the theme I created a quick Apple Addition and Scarecrow Subtraction Sorting activity. Students first look at the numbers to decide if addition or subtraction is necessary to help make the equation true. I'm not gonna lie...this was a struggle for my kiddos. Now let me just clarify, we had introduced addition and subtraction at this point. I also met with small groups to introduce the center before releasing them to play on their own. Of course their confusion over addition and subtraction had to be during my first formal observation of the year...gold star teacher right here huh? They always want to add as soon as they hear two numbers! Eventually (when they slowed down and paid attention) they were successful. I am hoping that by continuing activities like this one they will pay more attention to the numbers used. Are the numbers getting bigger or smaller? Does subtraction make sense if we are ending up with more than we began with? Click the picture below to download a free copy of your own. 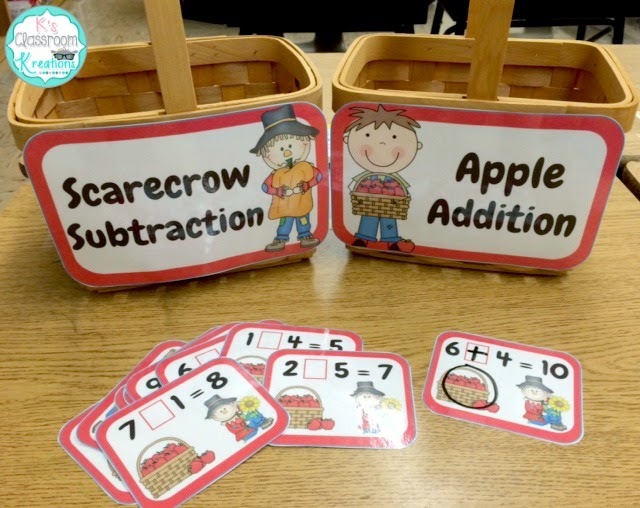 After writing in the plus or minus sign with dry erase markers, students circle the apple basket for addition or scarecrow for subtraction. I couldn't help but have two little baskets for them to sort them into next. They recorded their answers and met with me to discuss. 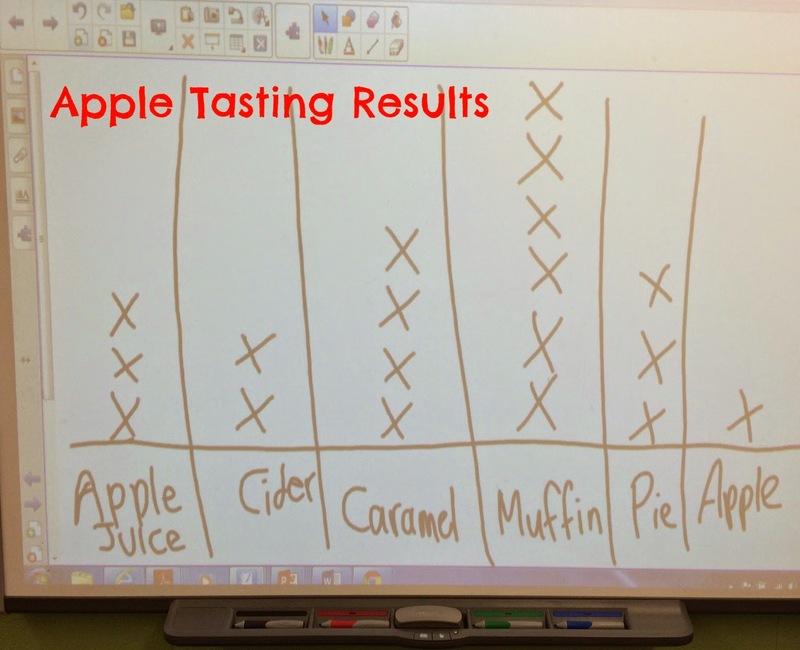 To end the week we had an apple tasting event. 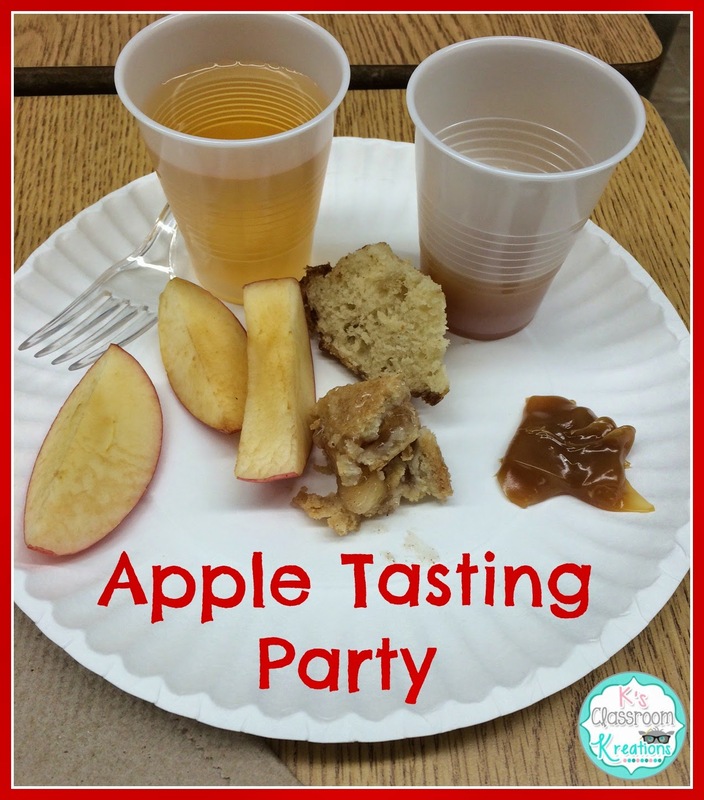 Students tried apples, caramel dip, apple pie, apple muffins, apple cider, and apple juice. We talked about how each item was made and what we had learned about it during the week. I wasn't able to take a ton of pictures (up to my elbows in apples) but the kids had a blast. We had time for a quickie poll before they had to leave for the day about their favorite item. I revised it to make it slightly less scribbly and will use the image during our math warm up routine when introducing graphing this week. Well that about sums up our apple week. 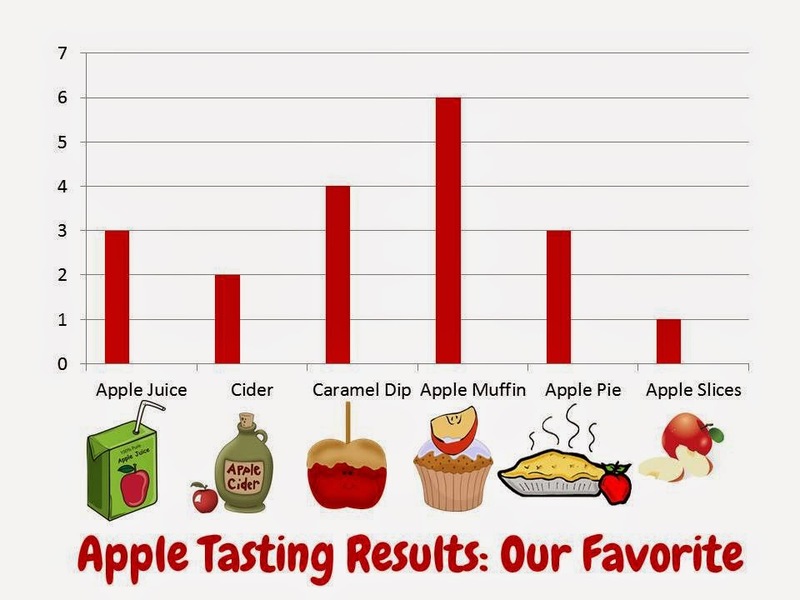 What other activities did you try with apples this year? 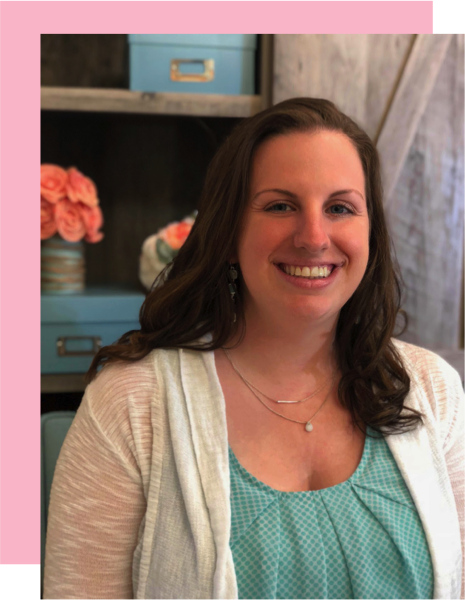 I found your blog through Bloglovin' and am enjoying following you this fall! I've nominated you for the Liebster Award! Check out my blog for details!